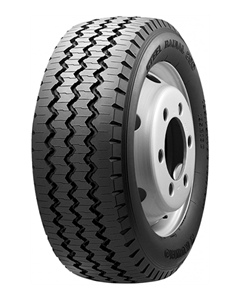 Continuous zigzag design increases traction, handling and grip on wet roads. The vent holes located inside of each sipe are positioned to make the block and groove look clean. Computer aided design is used for tread element layout. Variable pitch sequence was applied to reduce noise and vibration at all speeds.